Powerful Bass Presence “In hall” feel, great for enjoying rock music and similar exciting performances. The HD681B optimizes a powerful bass and balanced tone, and it will be difficult to resist the urge to dance to the rhythm from your headphones. 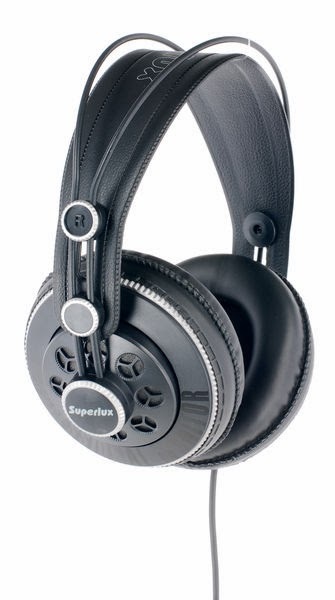 Superlux HD-681 B studio headphone, dynamic, semi-opened, 98 db SPL, 32 ohms, 10-30.000 Hz, 300 mW, lenght of the thomann cable 2,5 m, 3,5 mm stereo jack, incl. 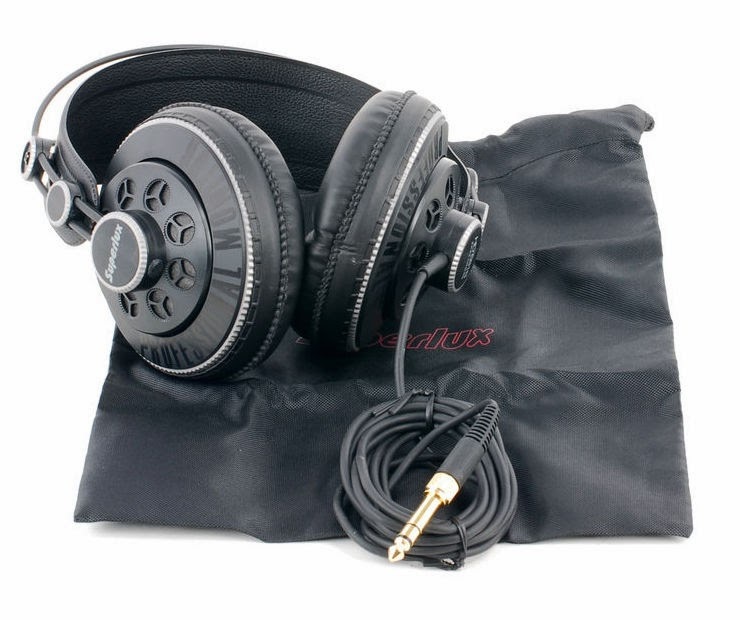 adaptor to 6,3 mm stereo-jack, weight (without cable): 276 g, incl. carrying pouch, self-adjusting headband for great fit and maximum comfort.